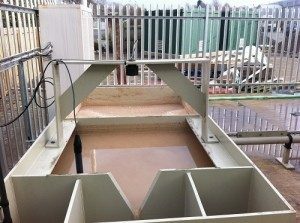 MPAC Ltd supply the Smart Storm V-notch weir tanks that come complete with integral sensor bracket and steel reinforced bands. Two standard sizes are available: 0-5L/s and 0-10L/s, although bespoke size tanks can be custom manufactured on request. All tanks come with a 90mm or 150mm stub inlet and outlet, however other sizes can be accommodated.